This photo, taken in 1970, shows Dolores and Chris winning the mother/daughter look-a-like contest at the Los Angeles County Fair for the second year in a row. The 2 silver bowls still sit on my fireplace mantle. No reaction to the drug last night. I ate 1/2 banana before bedding down. I feel fine today. I work on the laundry and such all day. We take the car to Thousand oaks at 8 a.m. for repair. I shop in the afternoon and bank. At 6 p.m. we go to Gary and Maria's for dinner. We have a great steak dinner. We brought the salad and a strawberry pie from Marie Calendar's. We swim and sit in the jacuzzi. After dinner we watch the Olympics. It's a nice evening. We're home about 10 p.m.
What a simple solution to her nausea! Do not take it on an empty stomach. I always take medication with food. Even vitamins cause nausea on an empty stomach. 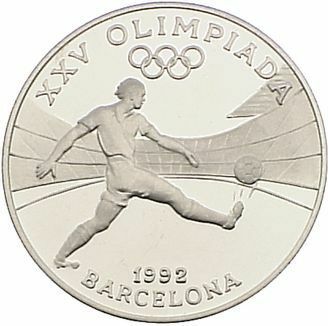 The summer Olympics in 1992 take place in Barcelona, Spain. Just two months from this date she and Frank will be boarding a cruise ship in that very city to take a Mediterranean cruise. I begin this blog at the age of 56, the same age mom was when she found out she had cancer. Thank you Mom for all you taught me, and for all you are continuing to teach me through your journal. Thank you for loving me unconditionally and supporting me through every storm. I love you and I miss you very much. Dolores and Chris in 1957. Mom is 23 here. I am 4. What Kid Doesn't Like Pancakes?